During Ryo's travels in Shenmue and Shenmue II, he gradually pieces together clues and information about the mysterious Dragon & Phoenix mirrors and how his father came to possess them. 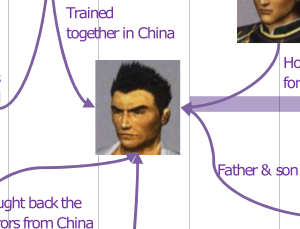 With Shenmue III in the works, now is the perfect time to consider afresh the circumstances surrounding his father's visit to China by reviewing some of the clues Ryo has comes across. At the end of the post, we'll attempt to consolidate this information onto a diagram showing the inter-relationships and timelines. A snippet of the final diagram. 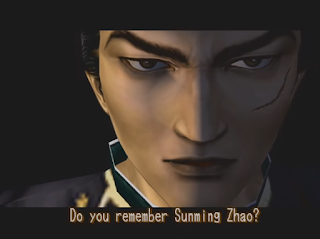 Let's start with a name that is introduced at the very start of Shenmue, in the opening cinematic: Sunming Zhao. Note, the order of some characters' names differs between Shenmue I and II e.g. "Zhao Sun Ming" vs "Sunming Zhao". 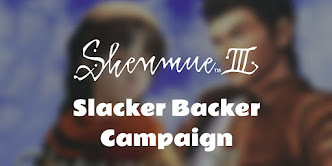 I will use the Shenmue 2 ordering for all names in this post, for consistency. Lan Di asks Iwao Hazuki whether he remembers this name, accusing Iwao of having killed him in a place called Meng Cun. Iwao replies in bewilderment with the words "It can't be... you... ?" 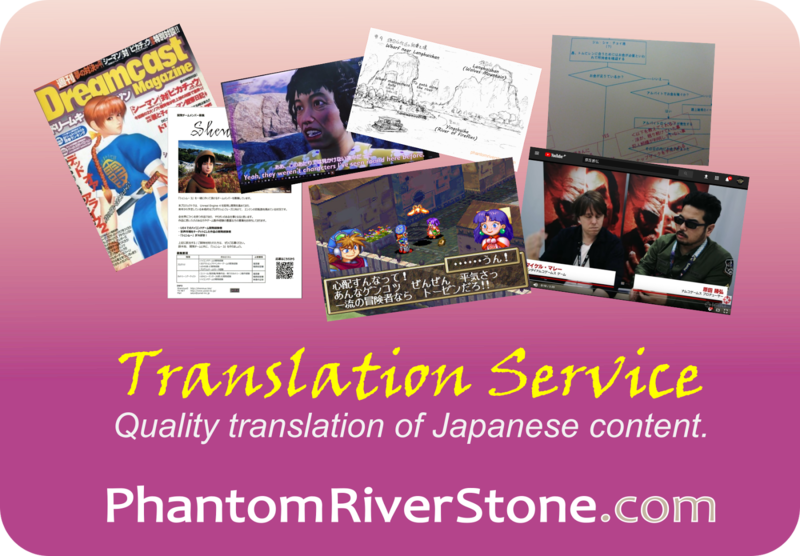 (see this previous post for a discussion of some nuances in the translation of this phrase). Ryo later learns that Sunming Zhao was Lan Di's father, and that he and Iwao Hazuki trained together when they were younger at Bailu village in Guilin. 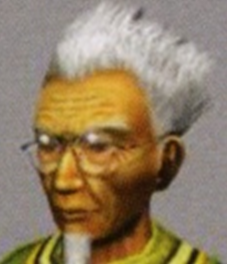 His date of birth is not revealed in the official Shenmue character profiles. The first Ryo becomes aware that his father has visited China in the past is when he is exploring the hidden basement area that is accessed through a secret door in the Dojo. On the shelves in the basement he finds various strange items of a Chinese nature. These objects include a bottle labelled "Elixir of Eternal Youth" which is something used by martial arts experts in China; a picture on paper of a type not found in Japan; an unusually-shaped good-luck amulet; a book about Chinese Zodiac signs and a white leaf that curiously hasn't dried out. 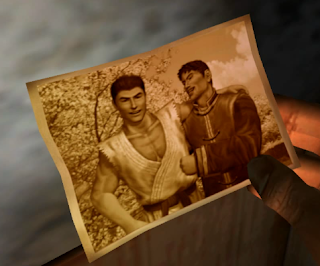 The initial confirmation that his father has been to China comes in the form of a photo of his father when he was younger, with the words "At Bailu village" written on the back. Standing together in a friendly pose with his father is another man, who Ryo does not recognize. In terms of age, he looks to be roughly the same age as Iwao, or slightly older. His name is not given in the photo, but clues given to Ryo by people he meets in Hong Kong allow an educated guess that this man in Sunming Zhao, whom Iwao trained together with at Bailu village. Master Chen is the person whose help Yuanda Zhu advises seeking in the warning letter he sent to Iwao. It is likely the two are business acquaintances since Master Chen runs some kind of trading business in Yokosuka (ostensibly for antiques) and Yuanda Zhu also used to run a trading business out of Kowloon called Five Stars Corp. He also knows of the two mirrors from Yuanda Zhu, and informs Ryo that "Zhu and your father brought back a certain mirror from China" - although I believe for consistency the translation here should use the plural. In any case, this is a noteworthy piece of information, implicating Yuanda Zhu in their appropriation. Master Chen is also aware of the power of the two mirrors: Yuanda Zhu told him that "when the Dragon and Phoenix meet, the gates of Heaven and Earth will open and Chiyou will resurrect itself on Earth". He warns Ryo that this must not be allowed to happen. 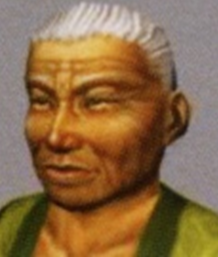 Yuanda Zhu is an enigmatic character in the story of Shenmue. While he appears to be helping Ryo on his quest, his motivations and loyalties are not transparent. 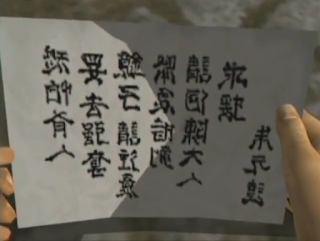 Ryo first comes across Yuanda Zhu's name when he receives his letter that was intended as a warning for his father to beware of someone seeking the mirror. (As a side-note, generally places where the official English translation has "mirror" could also be read as "mirrors" as there is no distinction between the singular and plural form of the word in Japanese). When Ryo meets him, he reveals that Sunming Zhao is the father of Lan Di, whose real name is Longsun Zhao. Furthermore, he states that Sunming was his best friend, and that he did indeed die although he does not know the cause. He also recognizes Ryo's Phoenix mirror on examination and says that it used to belong to Sunming Zhao. However Yuanda Zhu avoids mention any involvement in bringing back the mirrors with Iwao from China as Master Chen had asserted - he merely tells Ryo that "Iwao brought Zhao's mirrors to Japan". Is he trying to cover up his own actions? And surely if he accompanied the mirrors back with Iwao he must have some idea about how Sunming Zhao died? Yuanda Zhu has been in hiding from the Chi You Men in Kowloon as he knows Lan Di wishes to obtain both mirrors. He demonstrates to Ryo how the Phoenix mirror forms part of a light-projecting map, and explains that if the two mirrors are brought together they form a key to the "treasures hidden away in order to revive the Qing Dynasty". This phrasing differs from what he told Master Chen regarding the resurrection of the Chiyou on Earth, although it is possible that they do refer to the same event. Finally, Yuanda Zhu points Ryo toward Bailu village in Guilin, being the place where the mirrors were made. 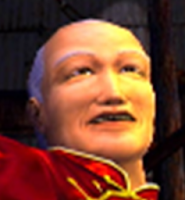 He also warns that Lan Di is on his way there. 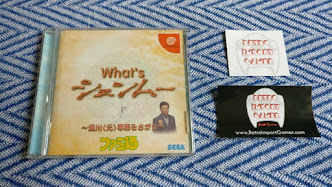 Yu Suzuki has made some interesting comments in the past with respect to the character of Yuanda Zhu that may explain some of the discrepancies encountered. 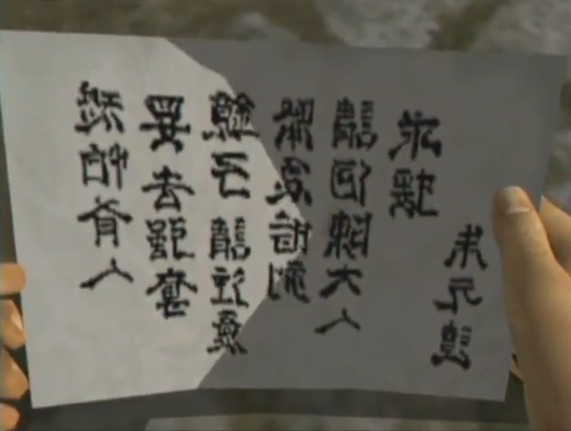 In a 2013 video interview by Shenmue Master (below), he states that Zhu is someone whose objective is to protect his friends, which he does through coded messages and by disseminating misinformation. The relevant part starts at 6:04. We have an example of a coded message in his warning letter to Iwao, which is written in mirrored and ancient Chinese characters. Clearly he is a character with subtleties, and all that he says should not be taken at face value. In Kowloon, Ryo meets a "blind" street musician called Kai. When he meets him again later, Ryo discovers that not only is Kai not really blind, but that he was friends with his father. Kai tells Ryo that he met Iwao around 20 years ago (from 1987, the year in which Ryo is in Kowloon), which helps to fix a time-frame for Iwao's training at Bailu village and his subsequent return to Japan with the mirrors. Here is a summary diagram that illustrates the main relationships and information discussed above, superimposed on a timeline. 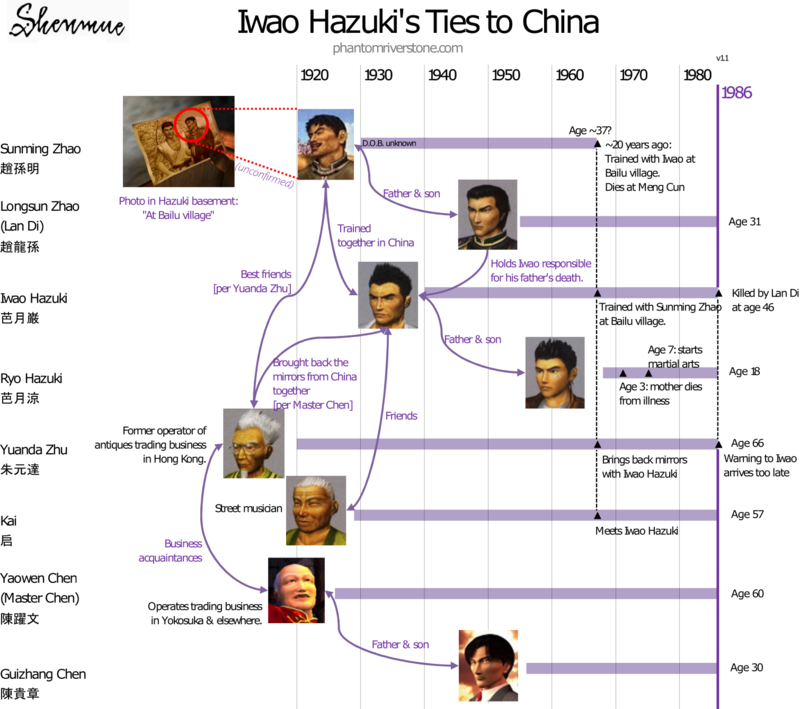 Some assumptions have been made, such as Sunming Zhao's appearance (from the photo) and his date of birth (I took a point between Iwao and Yuanda Zhu's ages) as well as the exact year of Iwao's visit to China (in the year I have chosen Lan Di was 12 years old, and Ryo was yet to be born). The reference year at the right-hand side is 1986, the year in which Shenmue begins, although it is the following year when Ryo makes his trip to Hong Kong. Does Yuanda Zhu Have Something to Hide? It seems likely that Yuanda Zhu has knowledge of what happened during Iwao's visit to China, or may even have been directly involved. This impression is strengthened by the small discrepancies between what he tells Ryo and what Ryo has heard from Master Chen. I suspect Yuanda Zhu knows the truth of what happened to Sunming Zhao all those years ago and why the mirrors were brought back to Japan by Iwao, but he has his own reasons for keeping this to himself. No doubt Ryo will come face to face with the true facts in a later part of the story as he prepares to take on Lan Di. Leave a comment if you have any theories to share about Yuanda Zhu or the mirrors!